"This was my first experience to see him. I went in with a heel spur that had almost stopped me from putting weight on my right foot...."
"He is a great doctor!! He has the patient's best interest at heart. I drive a hour just to see him!! 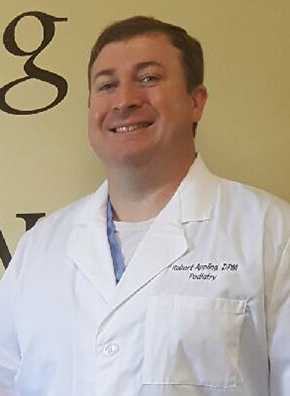 I have a inflammed Baxters nerve, heel fracture & plantar fasciatis..."
"Dr. Robert is one of THE MOST dedicated doctors one could ever find. He truly is a top notch physician with an outstanding knowledge of his field and a sincerely caring bedside manner... "